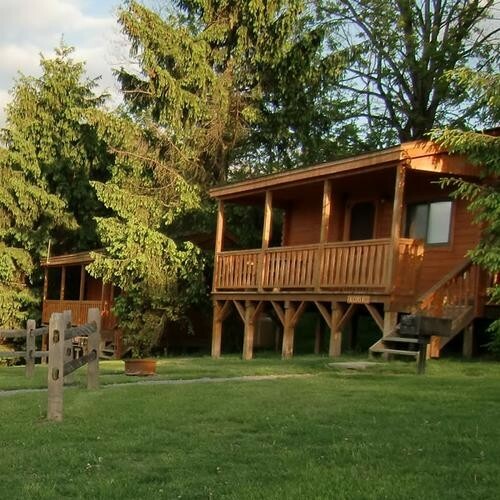 These deluxe cabins offer a hilltop getaway with a northeastern view overlooking our campground and the outlying woodlands. 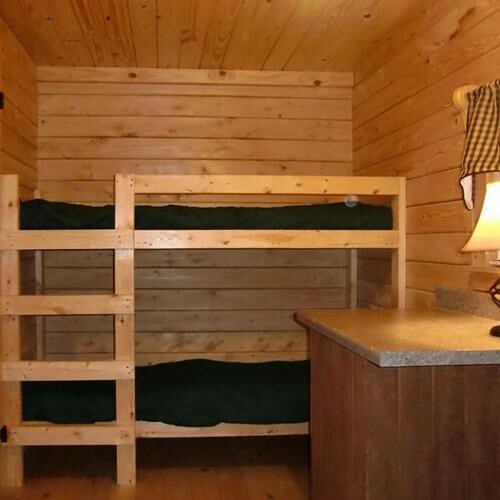 These cabins offer a more spacious interior with separate living and sleeping space and even a fun little carpeted sleeping loft above the bedroom. 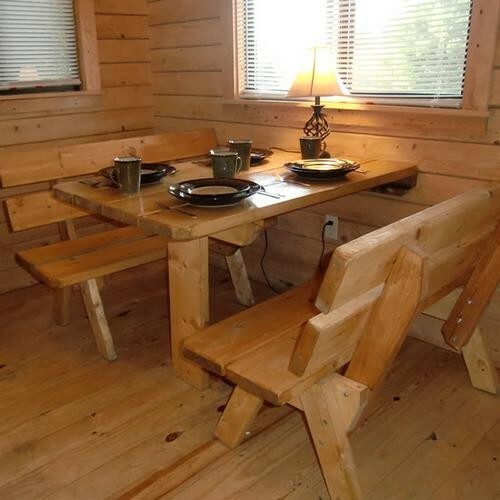 With beautiful split-timber siding and wooden accents both exterior and interior these cabins are a wonderful choice for families up to six people, small groups, or a couple who just wants a few more home-like amenities. Enjoy your morning cup of coffee with a breathtaking view of the sunrise overlooking the Moraine Valley. #’s 10 (Osprey's Nest) & 11 (Falcon's Nest) on map. Call for current rates and availability.